I've had a couple questions regarding the acorn squash we tried a few days ago. It comes from Tiffany Ivanovsky's blog. Click here to see the recipe or go to http://theivanovskys.blogspot.com/2009/01/acorn-squash-pauls-favorite-side-dish.html. It's a pretty straight forward recipe. Cut them, add butter, brown sugar, and bacon, and bake. Didn't think there was any going wrong with this one, but evidently I was wrong. Our plans to go to South Dakota this week (to the Badlands and Mount Rushmore) may no longer be a viable option. It would seem that a snow storm is headed that way and it will be in the low 30s with possible freezing rain as well. The kids are pretty bummed. I'm kicking myself about now because I knew better than to tell them before it happened. It's like I'm a rooky or something. Hopefully we can think of something, but we also found out that the ITBS tests are this week as well. We haven't decided if those are something really all that important for them or if it's more for the school. If we do decide to do something it might have to be next week now and the weather isn't looking like it is going to improve. There's really not many national parks nearby and a trip that entails driving more than 20 hours or flying is pretty much out right now due to time and money restraints. Decisions, decisions... life seems to have too many these days. Too bad Haldan couldn't have taken time over the summer months when weather wouldn't have been such an issue. Such is life though. No going back now. 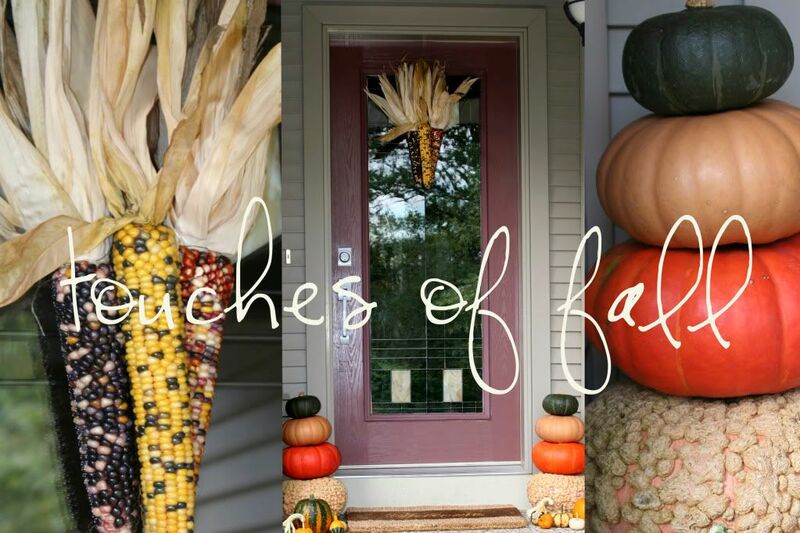 Cute fall decor! If the miserable rain has done nothing else this year at least it helped the pumpkins, lol. I hope you guys figure something nice out to do for your mini trip. You deserve a nice trip!